No matter how busy you get with your business, you need to always take the time to consider your insurance. Although it may not be something you think about too often, you’ll be grateful for it when things go wrong! Two of the most common policies you may have come across for your business are professional indemnity insurance and public liability insurance. A lot of people think that these policies essentially cover the same thing but in reality they are very different. Let’s take a look at the difference between these two essential policies and why your business most likely needs to have both in place. If you give advice or services as part of your business (and there are very few businesses who don’t!) then you probably need professional indemnity insurance. This form of cover protects you and your business financially against claims which result from allegations of negligence or breach of duty which have occurred as the result of an act, error or omission while carrying out your professional duty. Professional indemnity insurance is important because it protects your reputation by giving you the means to defend yourself against claims and gives overall financial peace of mind. With some professionals, such as lawyers and doctors, professional indemnity insurance is compulsory. In most other cases, it simply makes good business sense to have this cover in place. Public liability insurance is designed to protect you and your business financially if your business actions result in injury to a person or damage to property. It also covers the costs involved with legal bills if you need to hire a lawyer during the claims process. Even if you always take every precaution during your work activities, it’s all too easy for accidents to happen and a claim could occur as the result of something as simple as a third party tripping over on your work premises or one of your employees accidentally damaging client property while completing a job. The costs involved if you’re found liable following a claim can be substantial which is why it’s essential to have public liability insurance in place. Many employers won’t be keen to take you on if you don’t have liability cover in place and clients will also often ask about your liability cover. Not only that, it means you can be confident that you’ll be able to cope financially if you’re on the receiving end of a claim. While it’s true that both professional indemnity and public liability cover protect you financially against claims by third parties, as well as covering legal bills, they offer cover for different things which is why your business likely needs both in place. 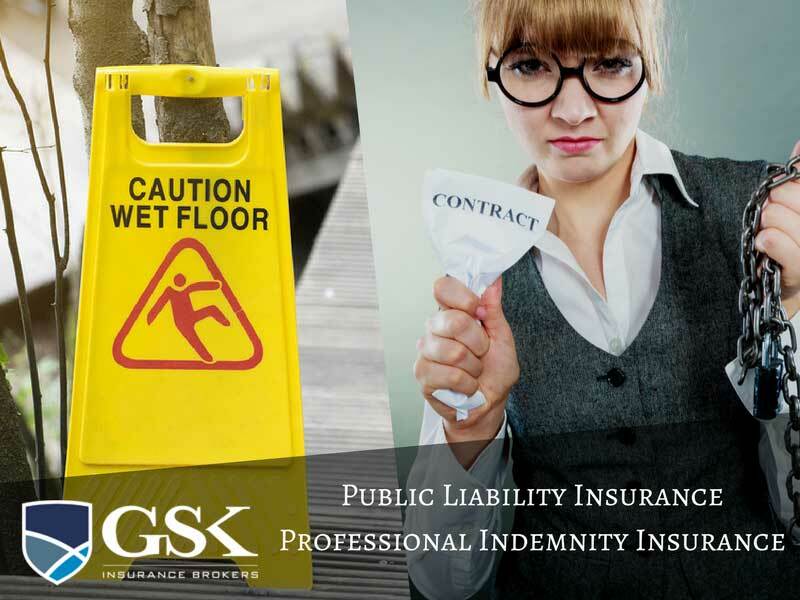 If you’re looking for public liability or professional indemnity insurance Australia, GSK Insurance Brokers will help find an the right insurance package for your situation. We take the time to analyse the risks you face in your day to day work so you can be confident that you have the right level of cover in place. Contact us today and let us protect your success! For a professional indemnity insurance quote, speak to the team at GSK Insurance Brokers today on (08) 9478 1933 or fill out our online form.